The last part of August I traveled with friends to Mongolia and China. We visited their son and brother and my friend, David Olson, who is a missionary in Mongolia. 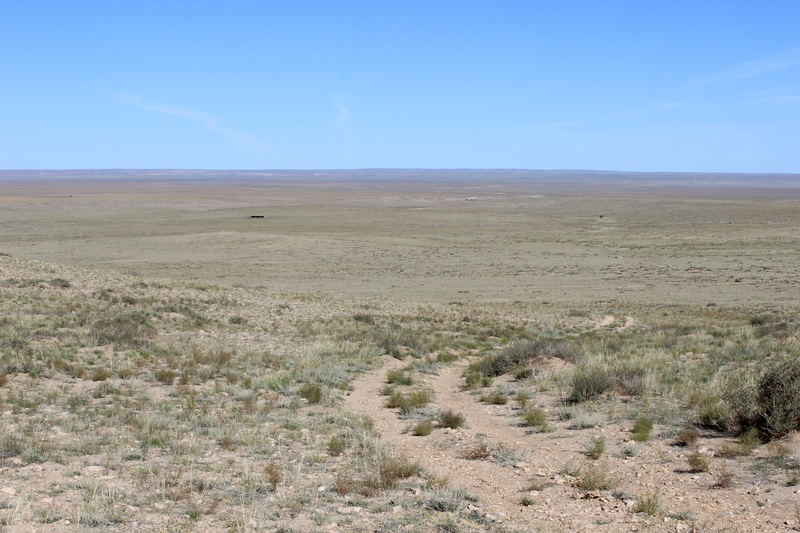 While in Mongolia we went out into the countryside, into the Gobi desert. Even though it’s called a desert it wasn’t all sand dunes and 100 degrees. It was, of course, a lot different than the Pacific Northwest. There weren’t many trees or bodies of water. There was some grass and a lot of interesting rock formations. The weather was pretty ideal. We picked the right time of year to go. We spent three nights in the countryside staying in gers. They are like what we in the States call yurts. They are used a lot by the nomads in Mongolia. They were nice to stay in. As we were out in the desert the thing that stood out to me the most was the silence. There were moments when I would sit in a chair in front of the ger and realize, “There is no sound to be heard.” There was no traffic noise. No lawn mower or weed eater was being used. No neighbor was playing music. No refrigerator was running. No dogs or sea lions were barking. There wasn’t any wind rustling through the leaves of a tree. No birds were singing. No bugs were buzzing around. It was truly silent. I’m not sure if I’ve ever really experienced that before. We live in such a noisy world. We get used to it, maybe to such an extent that silence surprises us and is almost uncomfortable. Sometimes we turn on the TV or the iPod, not so much because there is something we really want to watch or listen to. We just feel a need to fill our lives with a little more noise. It is easier to hear things when it is silent. When somebody else at the ger camp moved around and the silence was broken, I heard it, even though they weren’t making much noise at all. A Bible verse I thought about when I was sitting in the silence of the desert was Isaiah 30:15: “This is what the Sovereign Lord, the Holy One of Israel, says: ‘In repentance and rest is your salvation, in quietness and trust is your strength, but you would have none of it.’” That statement “you would have none of it” is maybe a description of how we often try to avoid silence. Maybe we’re afraid if it gets too quiet we’ll hear our conscience convicting us, or God’s Spirit directing us down paths we’re not so sure we want to go. There is value in silence. Yes, we may hear words of conviction, but we can also hear words of comfort and encouragement. In quietness we can find strength. When the world around us is quiet and, more importantly, when our soul is quiet and at rest, we have a better chance of hearing from God. Another Bible verse the desert silence brought to mind was Psalm 46:10: “Be still and know that I am God.” There aren’t too many times in life when we are truly still. We’re planning, we’re thinking about what we need to do, we’re wondering what’s going to happen. Even if there isn’t much noise around us, there might be all kinds of noise going on in our mind and heart. Be still, quiet your soul, rest in God’s love and grace, know that He is God. Don’t fear the silence. Instead, seek out times of quiet, and expect God to speak through His Word during those times. 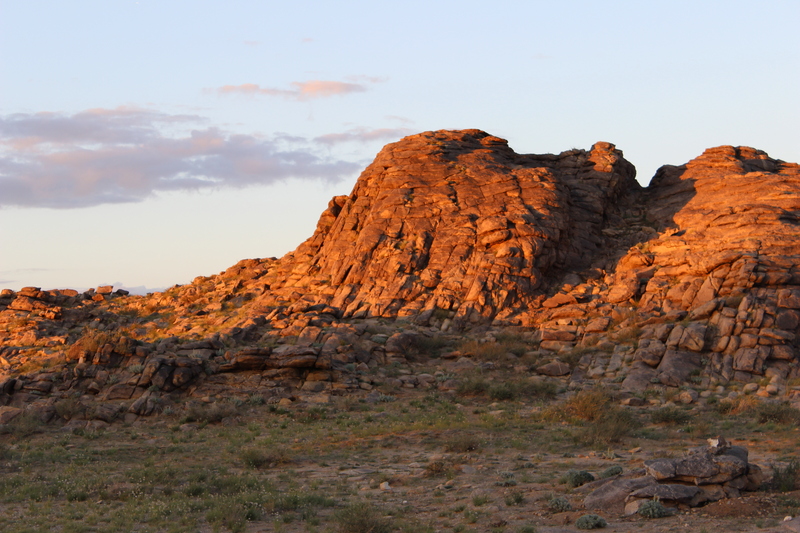 Silent places like the Gobi desert can’t be found much in the world, but quietness and stillness for the soul can be found by trusting in the gracious promises of God.